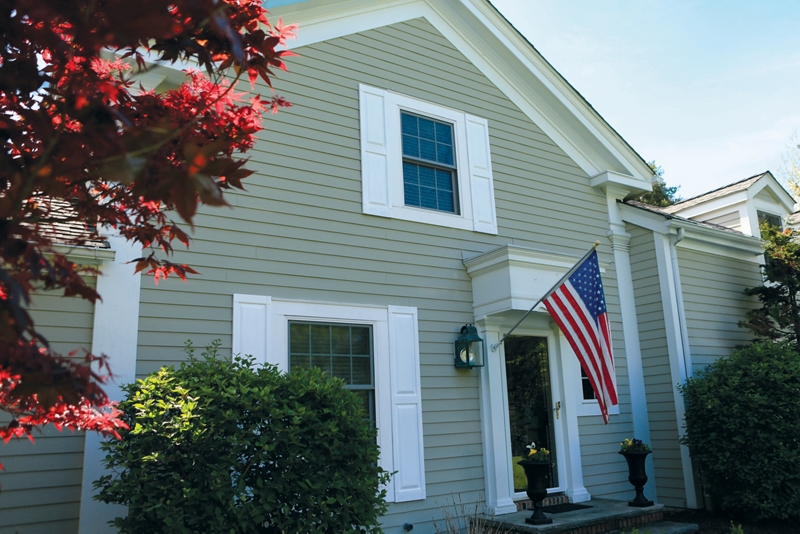 Revitalize old shutters and add curb appeal to your home. Remove old shutters from window and lay flat on your drop cloth. Using an all purpose cleaner/degreaser, wipe down shutters to remove all dirt and grime. (If the plastic is new, wipe down with paint thinner for best results.) Rinse thoroughly with water and allow to dry. Using painter's tape, completely tape off any area that you do not want painted. Applying in a well-ventilated area, hold can 6-8 inches from the shutter surface and paint the sides and ends of the shutter using a sweeping side-to-side motion with slight overlap. Allow paint to dry for 30-60 seconds. Krylon® Fusion All-In-One™ in 25 minutes or less, and can be handled in about one hour. Allow the shutters to dry overnight before reinstalling.